The origin of Diamond Lighting was in 1960 when Ken Gale, Larry Falk and Harry Shell, partners in Finland House, purchased Mount Lighting and Fixtures. The new company, Diamond Lighting, produced custom designed contract lighting fixtures for hospitality and luxury residential projects in New York, City, Miami Beach and Las Vegas. Diamond Lighting provided custom lighting fixtures throughout the United States working with leading architectural and interior design firms. Our fixtures can be found in many landmark properties including the Waldorf Astoria Hotel, Fontainebleau Hotel and the Hyatt Atlanta, the first atrium hotel built since World War II. In 1976 Diamond Lighting moved its headquarters to South Florida and continued as a major supplier of custom lighting fixtures for the Contract, Hospitality and luxury residential multi-family housing projects. Diamond Lighting is now a 2nd generation family business led by Mark Gale with Ken Gale continuing to provide contract lighting expertise. Relationships with our clients are essential to our process. Committed to manufacturing integrity and client service, we have a hands on approach to ensure their design needs are fulfilled. In 2000 Diamond Lighting introduced Photometric Design. Now architects and designers could receive a virtual realty view of their new lighting designs. 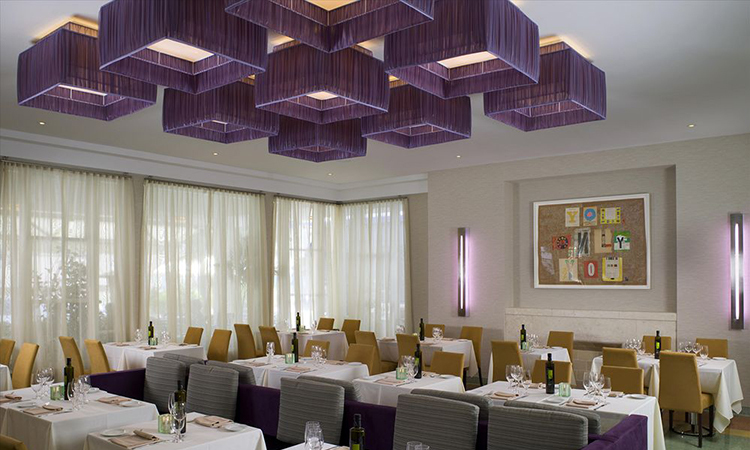 Diamond Lighting’s Photometric Design allows you to obtain different scenarios based on either hypothetical luminance levels or fixtures in the room. You can also try different angles for fixture placement and vary lumens levels within the 3-D model to identify potentially dark areas created by light levels and inadequate placement. Understanding where objects in the room may cast shadows helps not only determine what types of luminaires you will need, but also pinpoints the best angles of incidence from which to install them. 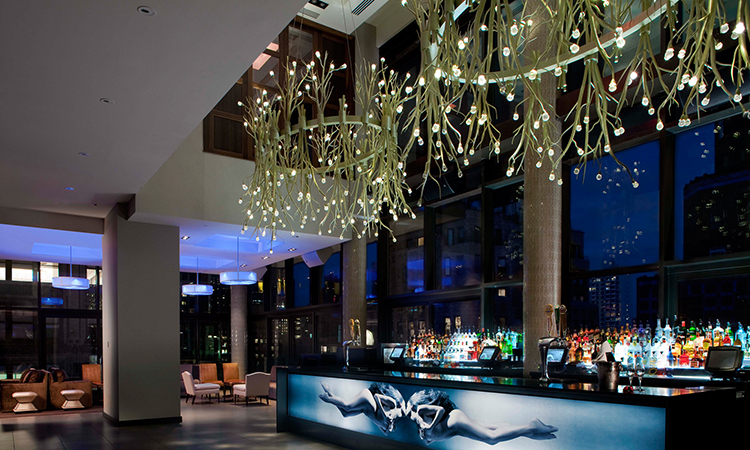 Many world renowned hotels feature custom chandeliersmanufactured by Diamond Lighting. 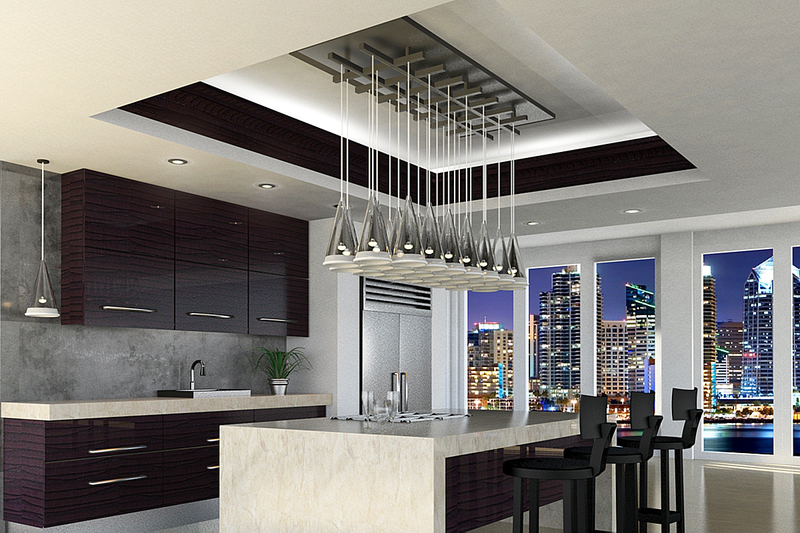 We also supply custom lighting fixtures for luxury residential projects. Click to see our portfolio. 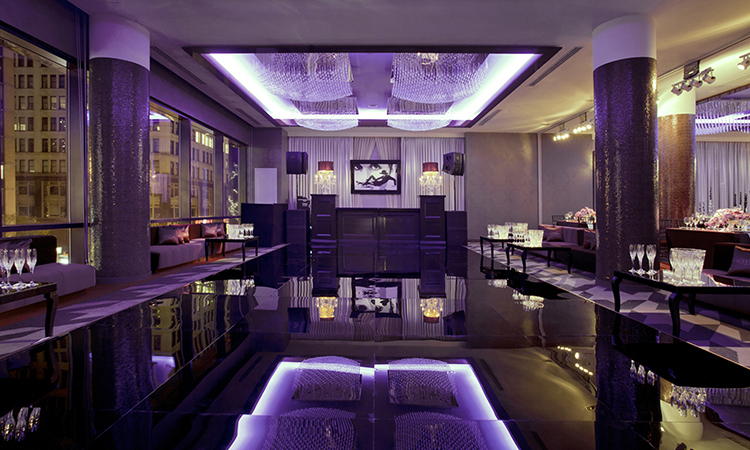 In 2012 the Gansevoort Park Avenue Hotel, an 18-story boutique hotel, located at the corner of Park Avenue South and 29th Street opened in Manhattan featuring chandeliers and custom lighting fixtures produced by Diamond Lighting.